To quote the great urban philosopher Ice-T, “don’t hate the playa, hate the game.” Some people might not like to think that we are “products” that have “brands”, but wishing it away does not make it so. If I say the names “Justin Trudeau” or “Oprah Winfrey”, certain traits and attributes immediately jump to mind. Those are the “brand values” associated with those people. Have you ever wondered what your brand values are? When your boss thinks of you, do words like “reliable” or “innovative” roll off their tongue? If a colleague is prompted to identify the first five words that describe you, what would they be? You should find out. People have impressions, if not opinions, about you and it serves no purpose to ignore this truth. This is daunting, I know, but it needn’t be. Consider at first asking five close friends the question posed above and note the words that come back. Chances are, you will recognize a number of them (“I’m not surprised people say I’m organized”) and be shocked by one or two (“People think I’m aloof? But I’m just shy …”). You can go further, but this is a great start. Simply becoming aware that you are, in fact, a brand might make you think more carefully about the brand values with which you’d like to be associated. For example, if you want to be seen as respectful of other people, don’t troll them on Facebook or arrive 25 minutes late for that coffee date. In other words, we need to act as brand managers — with each of us as the product. Being a steward of your personal brand simply means proactively shaping the brand values that are associated with you, as well as those that you aspire to be associated with in the future. 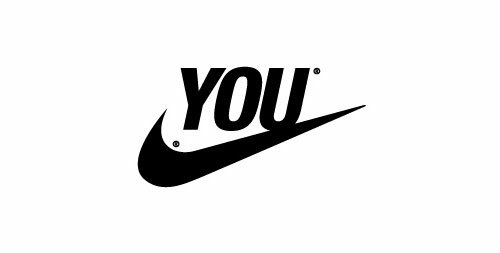 You have a brand. We all do. Moreover, it follows you around. Jobs and titles are temporary; the only thing that is permanent is your reputation — in other words, your brand. The question is: have you tried to intentionally influence it, or has it been a haphazard by-product of your actions this morning and over the years? Think of the world’s great brands: do they leave their image to chance? Be intentional about what impression you leave. Conclusion: Starbucks is a brand, but so is Steven Spielberg. So are you. Get out in front of that fact by figuring out what your brand stands for, and start by performing a personal brand audit.